Topical formulations for pharmaceutical delivery are becoming increasingly popular. Topical delivery has a number of advantages: the ability to deliver drug substance more selectively to a specific site, avoiding fluctuations in drug levels, inter- and intra-patient variations, improved compliance, and an enhanced suitability for self-medication. Skin provides an ideal site for the delivery of drug substances for both local and systemic effects. However, it also acts as a mechanical barrier to the penetration of many drug substances. In a survey by Frost & Sullivan, reported in the July/August 2014 issue of Drug Development & Delivery, physicians indicated that they prefer topical delivery and are willing to switch to topical delivery from their current mode of therapy. All of the advantages of topical therapies rely on having the right formulation. A small change in the formulation can make a large difference in the efficacy of topical treatments. With topical therapies, the formulation is as important as the molecule itself because the interaction of the vehicle with the skin can alter the efficacy of the penetrant. The formulation ensures that the drug substance is delivered to the right target site and that it maintains dosage integrity, drug transport, and active duration. For example, the drug substance in a psoriasis treatment may have some efficacy simply from the hydrating or soothing effects of the formulation. Whether the molecule maintains purity, potency, and delivery to the right target site may be masked by the ingredients that surround it. Both the mechanical barrier properties of the top layer of skin, stratum corneum, and the physicochemical properties of the drug affect the transportation of the drug substance from formulation vehicle to the site of action. In addition to the formulation components, a simple change in properties, such as pH, viscosity, the relative amounts of oil, water, surfactants, stabilizers, droplet size, ionic nature, or the method of preparation, can often influence skin absorption and efficacy. Good formulation development should have preformulation studies and careful selection of excipients, including stabilizers and permeation enhancers, early stability studies, cell line/tissue toxicological studies, IVRT and skin penetration studies, and finally formulation development and optimization. For a recently developed topical formulation, Tergus optimized an emulsion cream to dissolve the drug up to a certain concentration. The excipients were chosen to optimize the solubility of the drug substance and to prevent oil and water phase separation. However, a change in formulation to increase the drug concentration, so it could accommodate the toxicology study requirement, resulted in phase separation due to inadequate emulsifiers. The formulation was redone to optimize the concentration of emulsifiers, as well as the addition of a viscosity-building excipient. A non-homogenous cream could have resulted in erroneous toxicology outcomes. For another project, Tergus worked with a novel molecule that had undergone preformulation, solubility, and selection of excipients. Analysis showed drug substance degradation and increasing impurity levels. Forced degradation studies were performed to prove which kind of degradation was affecting the molecule. It was discovered the drug was undergoing oxidative degradation in the formulation. Steps were taken to prevent oxidation through the careful selection of excipients, limit exposure to atmosphere, and minimize drug degradation. Investigation into the root causes were conducted and found that trace levels of peroxides were in one of the excipients. Early stage development used the same excipient in a pure grade, so oxidation was not prevalent. During scale-up, another supplier of the same excipient was chosen, and this particular supplier’s material had low levels of peroxides which degraded the drug substance. Once the cause of oxidation was determined, the formulation was manufactured with the right grade of the excipient. During the early stages of development of topical formulation, attention must be given to the permeation enhancers. The bioavailability of the drug in the desired location, ie, epidermis or dermis, must be considered when choosing the right excipient. A solvent that forms a depot of drug concentration may not be ideal for a drug that has site of action in stratum corneum or epidermis. Similarly, during a product development project at Tergus, it was discovered during skin permeation studies that the efficacy was best when two permeation enhancers were combined. Early detection of such issues is crucial and helps in selection of right formulation before expensive clinical trials are conducted. While researching excipient compatibility and selection for drug substances/peptides targeted to the dermis, it was discovered that impurities rose in line with increasing pH of 4-7. In skin permeation studies, the release of the peptide was very poor. Homogenates of epidermal and dermal layers of skin at different periods of time showed more stability of the peptide in the dermal layer when compared to the epidermal layer. By explaining the peptide concentration in skin tissues, Tergus found that the peptide was going through degradation with proteolytic enzymes. Formulation optimization proved that a more acidic environment delivered the peptide to the right target layer while avoiding degradation and maintaining efficacy. The pH in formulations, particularly how it reacts to pH factors in different layers of skin, is very important. The epidermal layer is more acidic, acting as a defense and barrier, so creating a more acidic environment for the formulation allowed this particular peptide to be delivered to the target site. It is a well-known fact that scale up and certain other process parameters impact the drug release rate from the formulation. The FDA has developed guidance for the industry to study the impact of Scale Up and Post Approval Changes (SUPAC) for the marketed product. The same principles can be applied to the study of the impact of manufacturing process parameters in choosing the right formulation. The amount of shear produced by the equipment during the emulsification can impact the formulation. In a recent project, the formulation for Phase II supplies was being scaled up from Phase I. The viscosity differences led to the need for process optimization to prevent product efficacy differences between two phases of clinical study. In another project, the order of addition of the drug phase made a huge difference in drug stability/compatibility with the formulation excipients. The drug-solvent solution was added to the cream when it was cooled to 40°C, as opposed to adding it to water phase at 70°C. By making this change in the order of addition, the drug stayed in solution without precipitation. If not addressed early and if the right formulation manufacturing process was not chosen, expensive late-stage development efforts would have been needed to address drug crystallization issues. The epidermal and dermal barriers inhibit drug transport. The right excipient selection can minimize surface adsorption, have less immunogenicity, and avoid degradation. While performing formulation optimization studies, to also study the viability of different epidermal and dermal cells allows us to know the dermatological factor compatibility and to find the proper selection of excipients. The analysis of drug/peptide levels in different skin tissue barrier homogenates will allow the researchers to measure the drug/peptide stability and to also find where the drug is targeting. Topical formulation products that are involved in different cellular interactions depend on the drug action, skin metabolism, pharmaceutical, and dermatological factors. Tergus conducted formulation, scale up, and tech transfer work on a molecule that was unstable, temperature sensitive, and converted to an isomer. Initial drug loading was 97%, which fell to 50% after 1 month. The challenge was to find a formulation that increased stability and maintained potency. Because the drug substance was very potent, very low concentrations were needed for therapeutic efficacy. A specific mixture of solvents/viscosity builders were needed to optimize the formulation and improve scale up. The type of optimal formulation is determined by the properties of the drug substance, excipients, and the intended target area. Great improvements can be found by considering both the properties of the skin and the properties of the drug substance/excipients. Topical formulation selection is also based on the type of cellular transport and can be analyzed during skin-permeation studies. The importance of the right formulation and delivery method in topical pharmaceuticals is critical. It can mean the success or failure of drug substance. Getting the preparation right from the outset saves money and time. Dr. Vijendra Nalamothu is CEO and Cofounder of Tergus, which specializes in complete topical development services, analysis, testing, manufacturing for clinical trials, and regulatory support. 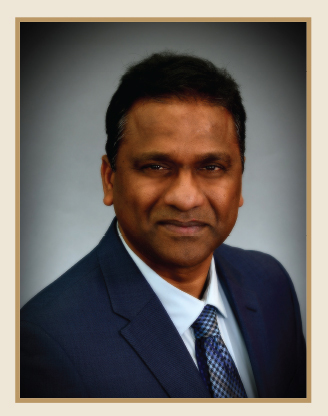 Dr. Nalamothu earned his PhD in Pharmaceutics from University of the Science’s Philadelphia College of Pharmacy. His efforts over the past 18 years in various dermatological companies have led to many commercial products in the market today. Dr. Nalamothu draws from his exceptional background that combines scientific study with pragmatic, hands-on experience to solve R&D challenges. He has co/authored numerous publications and has patents for a few of his inventions. He serves as a member of the Society for Investigative Dermatology and the AAPS and CRS. Dr. Nalamothu also serves on the board of Pharmaceutical and Technology companies and is a member of several pharmaceutical research focus and discussion groups.